1 The lender will own my home. When entering into a Reverse Mortgage the borrowers retain title to the property as long as they continue living in the home. The lender only has a lien attached to the property. 2 Any remaining equity in the property goes to the lender. 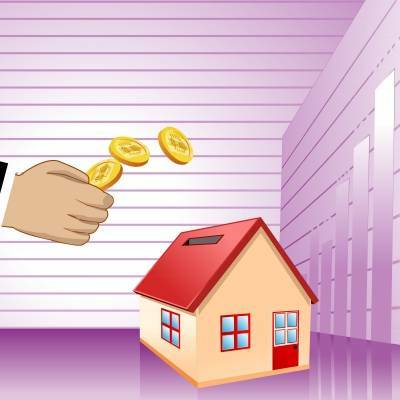 The Borrower retains equity in the home while living in the property, the owners have the right to sell or pay off the balance at any time and retain the difference. 3 All reverse mortgages have high closing costs. Like most loan products, reverse mortgages have multiple programs available that range in closing cost to the borrower. Some have very low closing costs while others have higher closing cost, as the borrower you are made aware of closing cost well before any commitments are made. 4 If I sell my property, I will lose all remaining equity. 5 All borrowers need to be at least 62 or older. Now, borrowers under 62 can be added as a non occupant co-borrower. Disclaimer:(1)Loan proceeds are paid tax free; consult your tax advisor. (2) If you qualify and your loan is approved, a Reverse Mortgage must pay off your existing mortgage(s). 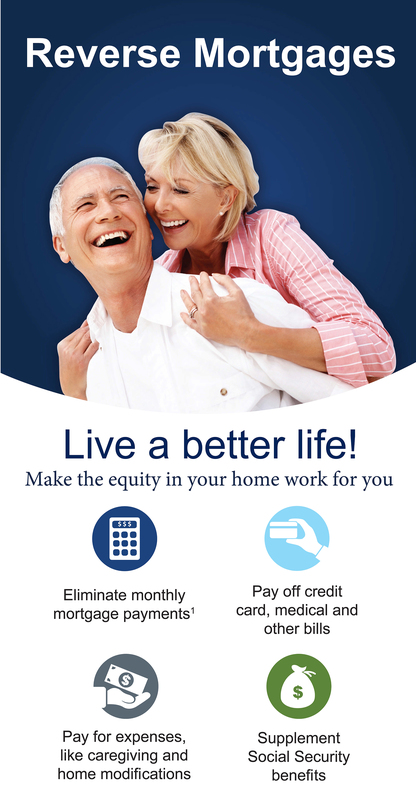 With a Reverse Mortgage, no monthly mortgage payment is required. Borrowers are responsible for paying property taxes and homeowner’s insurance (which may be substantial). We do not establish an escrow account for disbursements of these payments. Borrowers must also occupy home as primary residence and pay for ongoing maintenance; otherwise the loan becomes due and payable. The loan must be paid off when the last borrower or eligible non-borrowing surviving spouse, dies, sells the home, permanently moves out, or does not comply with the loan terms. Reverse mortgages are first and second mortgage loans. These materials are not from HUD or FHA and were not approved by HUD or a government agency.